Taking a precautionary approach to caring for your HVAC heating unit is a highly recommended practice. As with most types of machinery, preventative maintenance is needed if you want to keep that machine performing at its optimal level. This approach benefits both you and the equipment. Try to think of it the same way you might care for your vehicle, or even your own body. Certain tasks are required on a regular basis to prevent problems from developing that might jeopardize operation. With a car you need consistent oil changes and tune ups to prevent engine seizure. With your body, you need healthy food, exercise, sleep and trips to the doctor or dentist. The same is true for your HVAC heating unit. Your furnace requires routine professional maintenance to keep it safe and efficient. The next step is to find a dependable HVAC service to provide effective maintenance and repair solutions. Where can I find a reliable HVAC heating & cooling company in the GTA? Air In Motion Heating & Cooling is a professional HVAC service provider that has more than 17 years of experience in furnace repair and maintenance. All HVAC technicians at Air In Motion are fully insured and certified in a variety of specialized HVAC applications. Why do I need regular maintenance for my HVAC furnace? 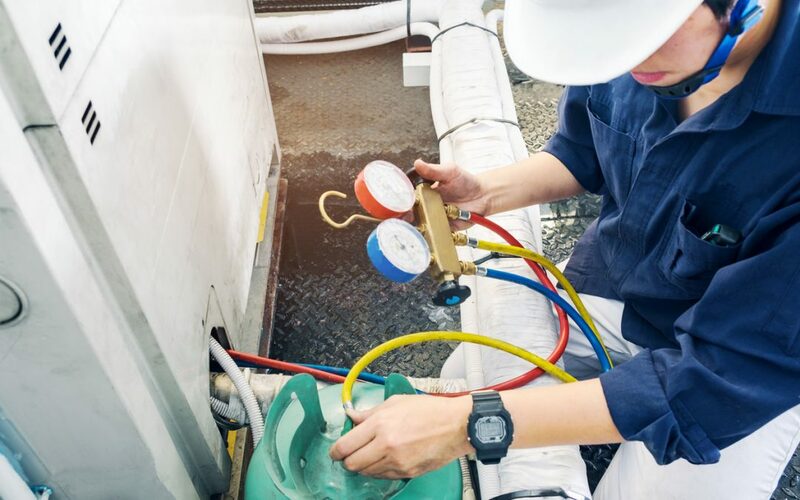 You may be thinking that maintenance seems unnecessary because your HVAC heating system is working fine, and there have never even been any problems with it. This is the way it always works with machinery. Things are running along smoothly, until they aren’t. That is when more serious problems tend to arise. If problems with your HVAC unit are detected early enough, there is a better chance they can be fixed with minimal complications and no need for replacements. If the issue has been slowly building over time, getting worse and worse as time passes, then you are likely looking at steep repair costs or even the need to replace the entire unit. There are many advantages for you and your HVAC system to be gained from routine maintenance. For the good of your health, and everyone else in the space where your HVAC unit is located, regular maintenance by a professional is key. A professional technician can help ensure the air quality in your space to make sure you are not breathing in excess amount of dust or allergens. A properly maintained unit will obviously run more efficiently. This can not only save you money on energy costs, but also in fewer repair bills. To avoid having your furnace break down at the worst time possible, consistent maintenance is the best preventative approach you can take. Not only will your HVAC unit run longer without issue, it will also last longer in general.